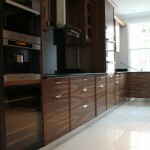 Wood Veneers – in Vogue! 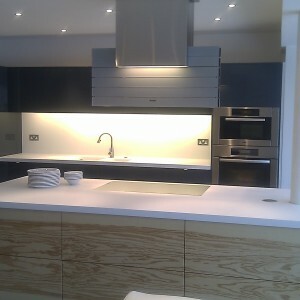 Working in a wood veneering factory we are at the sharp end – the dusty end if you like – of the interior design business. Whilst there’s nothing glossy about the work we do, it’s actually incredibly important in achieving those amazing, eye-catching finishes that adorn stunning public buildings, popular entertainment venues, hotels and fine homes. 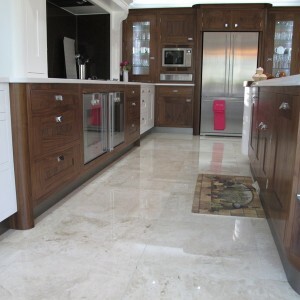 In our work, a meticulous eye for quality, in-depth knowledge of wood species and a serious artistic streak to allow beautiful cuts and matching of wood veneers are all vital, as is a good set of specialist machines and a team of experts who really know how to get the best out of a cut of wood. 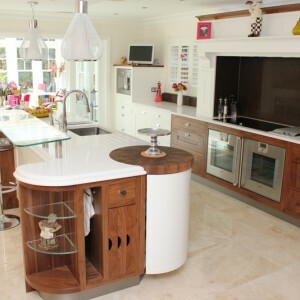 When you think of it, it’s amazing what can come out of a wood veneering factory in Essex. From such an industrial environment come truly beautiful pieces that are showcased all around the internet. 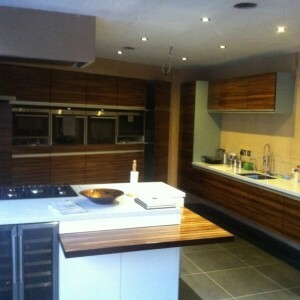 We found these stunning veneered homes here on the Rightmove website. 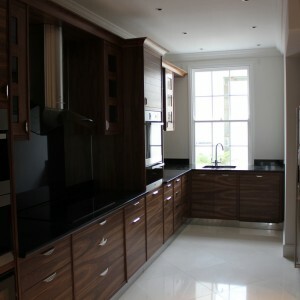 If you take a look at the veneered kitchens to start with, you’ll see some very striking effects. The matching is so vitally important in achieving streamlined perfection, so there are no breaks in the flow of the grain from panel to panel. Getting those natural wood veneer cuts just right so that everything flows really does take a lot of skill. And that skill is right here in the factory. Check out the walnut sink and work station surround with its charming, natural knots that create a prominent focal feature. This is not achieved by accident – it’s all well thought through – and down to good machinery and skilled operators. The bespoke high gloss veneered bedroom you see there uses a very special cut and you can see the consistent flow of the grain right through the design. 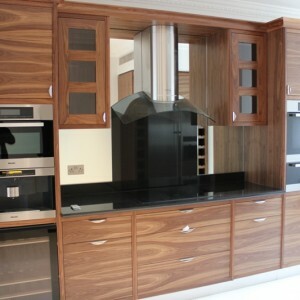 Interiors experts and furniture makers will consult with us as veneering experts to discover which is the best choice of wood species and the most attractive wood veneer cut for any particular project so that the very best results are achieved. 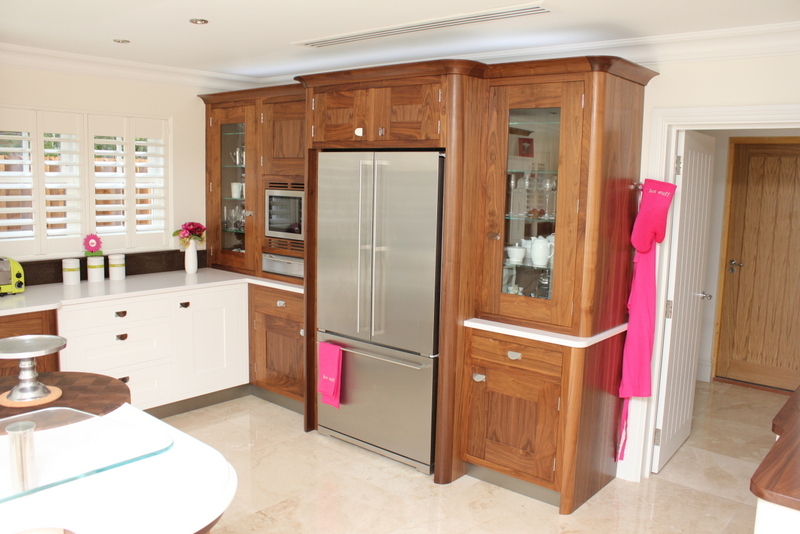 The pictures on this website really do show how amazing veneered bedrooms, kitchens and bathrooms can look and just how in vogue they are right now. 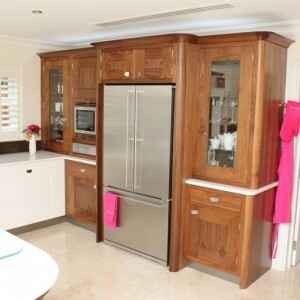 For expert advice on selecting wood species, natural wood veneer styles and cuts, and for specialist knowhow in veneer matching for the very best effects, contact Read Veneers.